The RPF1 Type II is the latest upgrade from Enkei’s popular RPF1.The RPF1 type II is modeled on Enkei’s competition wheel “ES-071” that ran on the Vodafone McLaren Mercedes MP4-22 in the Formula One Grand Prix in 2007. With Enkei’s MAT rim-rolled forging rim and 10 spoke deign, RPF1 type II offers light weight, strength, and anti-flex features for sport wheel users. Its rim has a roulette pattern for tire fitting, preventing slip and maximizing vehicles’ grip on the road. Enkei has been developing wheels for the Formula One World Championship since 1986 and has produced many street wheels using feedback from the racetrack. 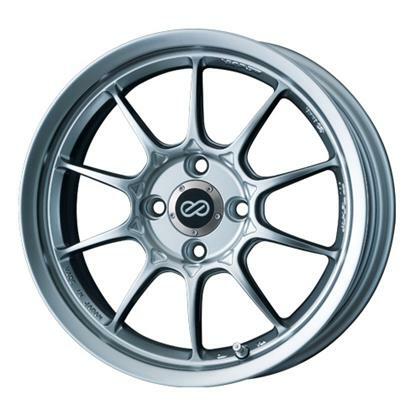 Enkei’s RP series wheels such as RPF1 have been widely used among top drivers of Formula Drift, D1 Drift, and Time Attack. Enkei is an official supplier for Vodafone McLaren Mercedes, and Lewis Hamilton became the 2008 FIA Formula One World Champion.